For the comic book character, see Hope Summers (comics). Mountain View Cemetery, Walla Walla, Washington, U.S.
Sarah Hope Summers (June 7, 1902 – July 22, 1979), better known as Hope Summers, was an American character actress known for her work on CBS's The Andy Griffith Show and Mayberry RFD , portraying Clara Edwards. Hope Summers was born in Mattoon, Illinois, the daughter of U.S. Representative John W. Summers and Jennie (née Burks). She was reared in Illinois and later in Walla Walla, Washington. She graduated from Northwestern School of Speech at Northwestern University in Evanston, Illinois and taught speech and diction there. From here, she became the head of the Speech Department at Bradley University in Peoria, Illinois. Mattoon is a city in Coles County, Illinois, United States. The population was 18,555 as of the 2010 census. The city is home to a Burger King that is not related to the worldwide Burger King chain. John William Summers was a U.S. Representative from Washington. A regional actress who often performed in one-woman shows,  she was past fifty when she came to Hollywood to begin her career as a character player. She made her television debut in 1951 on the series Hawkins Falls . 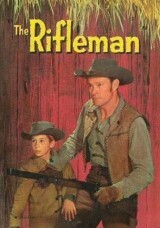 Hope Summers first attracted attention in 1958 in the semi-regular role as Hattie Denton on the western series The Rifleman , starring Chuck Connors. She guest starred on dozens of series including Maverick , Wagon Train , State Trooper , Rescue 8 , Peter Gunn , Dennis the Menace , It's a Man's World , Mr. Smith Goes to Washington , Hazel , Gunsmoke , The Danny Thomas Show , My Three Sons , Petticoat Junction , Love on a Rooftop , The Pruitts of Southampton , The Second Hundred Years , Adam-12 and The Paul Lynde Show , and was a regular in the cast of the short-lived 1978 situation comedy Another Day . She made thirty-six appearances on the Andy Griffith Show during the 1960s (in earlier episodes her character was called Bertha), and five appearances on the post-Griffith spinoff, Mayberry R.F.D. .
She acted until 1978, a year before her death from congestive heart failure in 1979, aged 77, in Woodland Hills, Los Angeles, California. She is interred at Mountain View Cemetery in Walla Walla, Washington in the Masonic Section. 1957 Private Secretary Della Loganbury Episode: "Not Quite Paradise"
1958 Wagon Train Mae O'Malley "The Luke O'Malley Story"
1959 Maverick Martha Abbott Episode: "Brasada Spur"
1959 Rescue 8 Dora Episode: "If the Bough Breaks"
1962 It's a Man's World The Salvation Army Woman "Drive over to Exeter"
1964 My Living Doll Edwina Episode: "I'll Leave It to You"
1965 Petticoat Junction Mabel Denton Episode: "The Crowded Wedding Ring"
1970 Marcus Welby, M.D. Mrs. Whittaker Episode: "Epidemic"
1970 Bewitched Carolyn Episode: "Samantha's Old Man"
1971 Hawaii Five-O Minnie Leona Moroney Episode: "The Bomber and Mrs. Moroney"
1975 Chico and the Man Lucille Nelson Episode: "Garage Sale"
1975 Welcome Back, Kotter Ms. Riley Episode: "Mr. Kotter, Teacher"
1976 Little House on the Prairie Addie Bjornesen Episode: "The Collection"
Return to Mayberry is a 1986 American made-for-television romantic comedy film based on the 1960s sitcoms The Andy Griffith Show and Mayberry R.F.D.. The film premiered on April 13, 1986 on NBC, and was the highest-rated television film of 1986. Sixteen of the original cast members reunited and reprised their roles for the film and its success could have led to additional Mayberry programs, but Griffith was committed to Matlock for the 1986-87 season. Frances Elizabeth Bavier was an American stage and television actress. Originally from New York theatre, she worked in film and television from the 1950s until the 1970s. She is best known for her role of Aunt Bee on The Andy Griffith Show and Mayberry R.F.D. from 1960 to 1970. Aunt Bee logged more Mayberry years (ten) than any other character. She won an Emmy Award for Outstanding Supporting Comedy Actress for the role in 1967. Ellen Hansen Corby was an American actress. She is best remembered for the role of Esther "Grandma" Walton on the CBS television series The Waltons, for which she won three Emmy Awards. She was also nominated for an Academy Award and won a Golden Globe Award for her performance as Aunt Trina in I Remember Mama (1948). Aunt Bee is a fictional character from the 1960 American television sitcom The Andy Griffith Show. 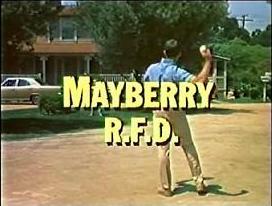 Played by Frances Bavier, the character migrated to the spinoff Mayberry R.F.D. 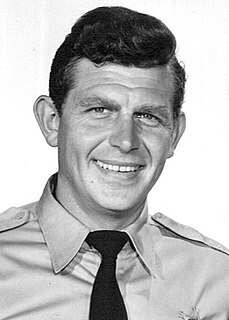 (1968–1971) when The Andy Griffith Show ended its run in 1968, and remained for two years. Though she was the aunt of Sheriff Andy Taylor, virtually every character in Mayberry called her "Aunt Bee". Aneta Louise Corsaut was an American actress and writer. She is best known for playing Helen Crump on The Andy Griffith Show (1963–1968). Elizabeth Ann Theresa "Betty" Lynn is a former American actress. She is best known for her role as Thelma Lou, Deputy Barney Fife's girlfriend, on The Andy Griffith Show. Paul Hartman was an American dancer, stage performer and television actor. Clara Edwards is a fictional character on the American television sitcom The Andy Griffith Show. Clara was portrayed by actress Hope Summers. The New Andy Griffith Show is an American sitcom that was broadcast in the United States on CBS in 1971 on Fridays at 8:30 ET. It debuted on January 8, 1971, and ended on May 21, 1971. Ruth McDevitt was an American stage, film, radio and television actress. Elinor "Ellie" Walker is a fictional character in the American television sitcom The Andy Griffith Show. She is notable for being Andy Taylor's first regular girlfriend seen on the show. Ellie makes 12 appearances in the first season. Despite the paucity of her appearances, she was intended as a series regular. Unlike girlfriends that would follow, her portrayer, Elinor Donahue, is given opening credit billing, alongside Andy Griffith. Josie Lloyd is an American actress and daughter of noted producer, director, and actor Norman Lloyd and Peggy Craven Lloyd (1913–2011), who was also an accomplished Broadway actress and director. Fans of The Andy Griffith Show will recognize Josie Lloyd from her roles on that classic television series, including her 1962 and 1965 portrayals of the eccentric character Lydia Crosswaithe. ↑ "Hope Summers". I May Berry. Retrieved 8 October 2015. ↑ Gallagher, Pat. "Rest in Peace, Cast of The Andy Griffith Show". Huffington Post. Retrieved 8 October 2015.